When most marketers finish a piece of video content these days, the first response is usually to plop it center stage on your website. Then you probably do a rapid “spray” campaign–get you, your mother and everyone you know to share it across all your social media networks. While obviously this approach is fairly easy and straightforward, that doesn’t mean that it’s the best one. And this is because user behavior and how they expect to interact with video is very different on each social media outlet. Not to mention that each channel has its own restrictions and capabilities when it comes to hosting video. You can take your social media video distribution strategy to the next level by thoughtfully considering how you can take both your existing video content and edit or repurpose it, or plan new content to have the maximum appeal for each social media channel. Here’s a quick rundown of tips for video on the most common social media outlets. Facebook has made a huge push into video in the last year or two, as should be obvious to anyone who takes a quick glance at the amount of video in their Newsfeed these days. However, marketers need to be cognizant of how Facebook uses and promotes video in order to get the best return on their content. First, you need to make sure you’re uploading your video content natively to Facebook, and not linking from YouTube or other hosting platforms. Facebook clearly gives algorithmic priority to video content, and even more so to natively uploaded videos. Since Facebook videos Autoplay without sound, it’s essential your videos are super appealing visually and make sense without the audio on. Second, Facebook videos now autoplay without sound, it’s essential that your content is super visually appealing off the bat, and that it will make sense without the audio on. Shorter is also better. From a psychological perspective, Facebook users flicking through their feed often seem to be on the hunt for quick, digestible “fun” content rather than longer, in-depth content more appropriate to other channels. Anything more than two minutes probably won’t be watched all the way through–unless it’s the new Beyonce video. Lastly, you can now broadcast live on Facebook. This feature is great for covering any lectures, events or behind the scenes moments in a raw, authentic way without the need for professional video production. Pro tip: A video is nothing without the right hashtags to encourage discovery. Instagram is all about the visual by its very nature. As on Facebook, all videos Autoplay on silent, and there is a 15-second limit on content. So, visually stunning, digestible nuggets of video goodness that work without sound are also best for Instagram. And since it’s more difficult to get Instagram users to click to a specific link from a video (you can only direct viewers to click one static link in your profile, not in each post), it’s best to use Instagram for more broad “brand building” content: behind the scenes videos, bloopers, simple typographic videos, and direct messages from your employees which can bring your company to life. You can also use Instagram’s secondary apps Hyperlapse and Boomerang to cash in on the trend of super-short looping videos, as well as the popular Cinemagraph app. It’s incredibly easy to do a quick Hyperlapse tour of your offices and post to Instagram, for example. Instagram is also great for taking your longer video content and breaking it down into 15-second “teasers” that will entice users to go watch the full versions. By now, it should be de rigeuer that you discuss with your videographer beforehand how to repurpose your video content into smaller chunks for social media usage. Oh and PS – you’ll need to expertly leverage hashtags in Instagram in order to maximize exposure to your videos. Research competitors’ hashtags and experiment with the hashtag finder tool inside Instagram itself in order to find the most popular hashtags to tag your videos wit. 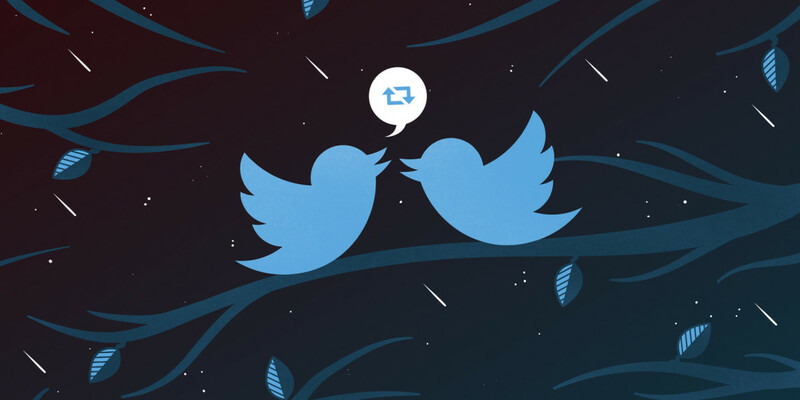 Twitter has not emphasized video as much as other platforms, but it can still be effective. Twitter has a 30 second video length limit, so again, “teaser” content is great fodder that you can use to entice followers to link to full-length versions or website content. The fact that the link can be right next to the video means it’s easier than on Instagram to convert Twitter users to your website. You can also use Twitter in a more ad-hoc, immediate way by posting video replies to Tweets you receive, perhaps from your Social Media Manager or other execs. This is a surprising personal touch that usually is much appreciated by your fans. It’s also important to choose an appealing thumbnail image that will make viewers want to start playing the video. Some viewers have Autoplay enabled and some don’t. Using short GIFs is a great option that’s easier than producing custom videos just for Twitter. Using Twitter to post video replies to questions you receive in Tweets is an easy and surprising way to use video that will be appreciated by fans. Linkedin, with its business-y, buttoned up nature, has also not made a big push into video content, but that doesn’t mean you can’t share your video content there. A video can actually stand out more from the crowd and be surprising here. Videos can now play within the feed on Linkedin, though they won’t autoplay. LinkedIn is less effective for posting creative and branding videos with mass appeal, since most users are in a more “professional” mindset when using the platform. As such, short informative videos with “How To” content or tips are great, as well as customer testimonial videos or client case study videos. You can also embed videos into your LinkedIn Blog Posts. For example, when you have a new video, you can write a short post about the background or making of it along with the video. In general, people are coming to YouTube specifically to watch a video, whereas on Facebook or Instagram it’s more incidental, since those platforms are filled with text and images as well. As such, the viewer’s attention span is probably a bit higher on YouTube and you can and should post longer content there (unless it’s a paid TrueView ad.) We detailed some of the best practices for posting your videos on YouTube in a previous post. YouTube is a great place to build a “repository” of more in-depth content, such as How To Use videos, or videos that answer commonly asked questions about your product or on popular subjects in your industry. You can also consider creating regularly scheduled content, such as a weekly video blog series that will encourage viewers to subscribe to your content and receive regular updates. YouTube is also great for storing testimonial videos, brand/creative campaigns, interviews with executives, webinars, and event recaps. The overarching idea is that you create a cohesive place to store lots of your longer format video content, and break it down into easily comprehensible subsections (Playlists) within your channel. You should approach YouTube as a slow and steady accumulation of video assets that are helpful to your target audience. Best for: Fun, outrageous, timely (vertical) content: behind the scenes, unique events, day in the life, etc. With over 100 million active users per month, Snapchat is the hot new thing in the marketing world, which probably makes you feel like you need to be on it, like, yesterday. But the truth is, while great for huge brands and well known celebrities, it’s still quite difficult for small and medium size businesses to get much reach out of it. If you do decide to set up a Snapchat channel, you’ll need to market its existence heavily, since users will have to type in your username in order to find you, and Snapchat doesn’t yet have a great search tool for finding brands. That’s not to say you should ignore it. It’s an incredible platform that encourages and rewards experimentation. But there is a pretty steep learning curve and Snapchat is a whole world unto itself. We here at Veed.me don’t claim to be experts at Snapchat video marketing, but there is lots of great content out there that can serve as a good primer. Check out these great Slideshare presentations on Snapchat here, here, and here. In general though, the main things to remember with Snapchat are A) your video content must be filmed vertically B) it must be produced in the moment, C) it will disappear after 10 seconds, unless you put it in your Story, where it will disappear in 24 hours. As such, you don’t need to worry about high production values, pixel-perfect perfection, etc. Snapchat is about immediate reactions and feelings, embracing humor and memes, and living “in the now.” You don’t need a professional videographer to do it. You should also leverage the “Stories” feature of Snapchat to plan and build snaps that link together to tell interesting stories about your company or brand. You should plan your Story content in advance so that it makes cohesive sense, unless it’s about covering a live event. Stories can also be used in tandem with one-off individual snaps offering discounts or promos for snapshotting a coupon, for example. Hopefully after reading this you’ve seen the need to move beyond the “YouTube dump and run” strategy of yesteryear and have started to think more thoughtfully about how to deploy and re-purpose your video content across different social media channels, each having their own flavor, ecosystem and user psychology. Above all, when thinking about video on social media, you should remember that social = human. While polished, high-production video content definitely has its place on every channel, you should also remain open to more unpolished, user or employee generated video content that is less sales-y (behind-scenes content, product demo videos, employees answering questions, silly Snaps). Viewers are used to this type of content from their friends and family already in their feeds, and companies have permission to do the same. In the end, being hyper-aware of the right kind of video content to post across each social media channel will really set you apart from other marketers.